Most points of interest in the park are accessed by boat, kayak, canoe or houseboat, or by taking a guided park tour. Others, like the Ethnobotanical Garden, can be visited by car (the garden is located adjacent to the Rainy Lake Visitor Center) or explored through hiking. In the summer of 1893, gold was discovered on Little American Island, which led to the Rainy Lake Gold Rush. The excitement was brief, however, as barely $5,000 worth of gold was produced in the first year. Today you can discover the past while exploring the remains of mining activities on the island, including a 210-foot shaft along with machinery and adits (horizontal entrances leading into mines). You may experience the history as part of a ranger-led walk during a tour boat program or on your own with self-guided wayside exhibits and a brochure. The island has a quarter-mile wheelchair accessible interpretive trail, a comfort station, and a dock. Little American Island is located just north and west of the Voyageurs National Park boundary on Rainy Lake. Rainy Lake City was a short-lived boomtown (1894-1901) developed to support the gold mines discovered on Little American Island. Though there are no services established at the site, the Rainy Lake City Saloon, built before 1910, is visible from the water. Its simple design and construction methods evoke the days when frontier towns seemed to spring up overnight. By 1922 the building functioned as a “blind pig” for the illegal sale of liquor during prohibition. A century later, Rainy Lake City’s former streets and buildings are visible only as landscape features. Patient visitors may observe many kinds of wildlife in the surrounding forest and wetland habitats. Rainy Lake City is easily accessible by canoe or kayak from the Rainy Lake Visitor Center. The park offers exhibits, an orientation film, camping information, and permits as well as an interesting selection of books, maps, and other items for sale in the visitor center. The Rainy Lake Visitor Center is located 11 miles east of International Falls on Highway 11. In any season, you are invited to come and sit in the comfort of the lobby and overlook the wildlife activities of Black Bay. Gulls here are often the harbingers of spring, loons can be heard throughout most of the summer, and deer wander the entrance road year round. The Visitor Center is a hub of information and activity. You can rent boats located on the interior lakes of the Kabetogama Peninsula in the warm months. During winter, the visitor center lends snowshoes and children’s skis free-of-charge and rents adult skis for a small fee. Here you can access trails for hiking and cross-country skiing. Facilities include restrooms, boat and canoe launch, free parking, phone, and a picnic area. 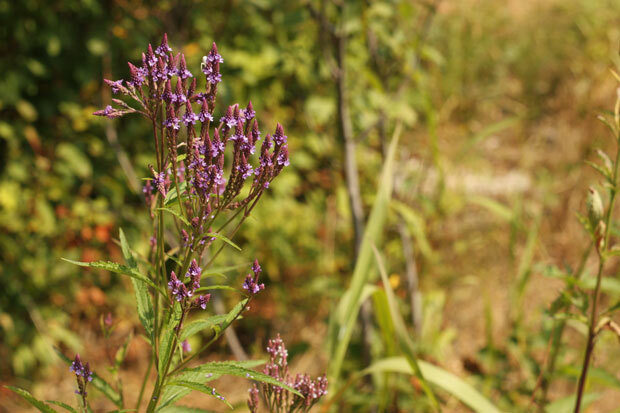 Native plants are flourishing in the Ojibwe Ethnobotanical Garden. Prior to 2010, this one acre garden site at the Rainy Lake Visitor Center was overrun with a non-native, invasive plant called reed canary grass. 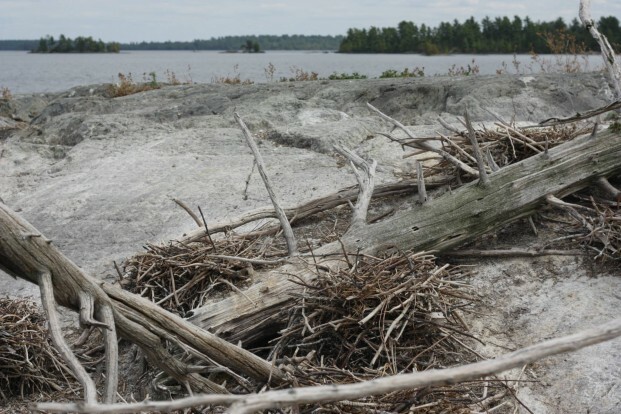 With the help of volunteers, including many from Voyageurs National Park Association, the site has been restored with native vegetation. Park visitors may now walk the garden paths and discover the diversity of native plants which have been vital to the Ojibwe Indian culture. Visitors may also enjoy a self-guided tour using the new brochure and plant markers, which identify each plant and its traditional use. Local students engage in hands-on learning about the Ojibwe and the plants they relied on for food, medicine, and raw materials. A Junior Ranger Garden Explorer Book will be available starting this summer. Kids can complete the activity book while exploring the garden, review it with a park ranger, and become a Garden Explorer, complete with a badge. We hope this will give kids a chance to experience the garden in their own way. The garden continues to evolve into a beautiful, serene place where visitors can appreciate the native plants which help create the outstanding scenery of Voyageurs National Park. Oveson Fish Camp is the only remaining intact commercial fishing camp in the region. Harry Oveson constructed his camp on an island near Cranberry Bay in the late 1950s and fished for whitefish in Rainy Lake from 1958 to 1985. The Oveson home, an ice house, a fish processing building, and tools of the trade help tell the story of commercial fishing on Rainy Lake. A cove near the fish camp is a watchable wildlife site where visitors may observe turtles, beavers, and a variety of birds. Facilities include a dock, boardwalk, comfort station, and a picnic table. The camp is accessible by water approximately seven miles from the Rainy Lake Visitor Center. Facilities include exhibits, bookstore, restrooms, a boat launch and marina, free parking, and a picnic area. The Kabetogama Lake Visitor Center is located 24 miles south of International Falls. Watch for signs on Highway 53 showing the turn onto County Road 122 for the 3-mile drive to the visitor center. You will pass the turnoff to the Woodenfrog State Forest Campground. The visitor center offers exhibits, an orientation film, information about park recreational activities, and sale items including books and maps. You can also rent canoes that are located on the interior lakes of the Kabetogama Peninsula. The park offers interpretive programs at the visitor center and at Woodenfrog Campground. Imagine terraced flower beds and stone statuary in the midst of the wilderness. Jack Ellsworth, a Chicago contractor who spent summers on Kabetogama Lake from 1944 to 1965, created the Ellsworth Rock Gardens on a 60 foot granite outcrop. At its peak, the site grew to 62 flower beds with over 13,000 lilies blooming. Although Mr. Ellsworth was not a trained artist, the gardens reveal his uniquely creative expression and his love of beauty and nature. As a visitor to the rock gardens today, you will see some of the original flowers Mr. Ellsworth planted along with the artistic stone sculptures. A picnic shelter with a stone fireplace graces the spot where the Ellsworth summer home once stood. Read more about the park's efforts to restore the gardens and view more pictures of this extraordinary place. Gold Portage is a half-mile trail connecting Rainy Lake with Kabetogama Lake. Hikers, canoeists and kayakers can travel between the two lakes on this portage. The Kabetogama Lake end of the Gold Portage is an excellent place to begin an exploration of the west side of Kabetogama Lake. Visitors can picnic at the Hacksaw Pass day use site and explore Chief Woodenfrog’s Islands, both south of Gold Portage. Continue southwest to Tom Codd Bay to discover quiet, rocky wetlands and an abundance of wildlife. The park has future plans for formal interpretation of this area’s natural and cultural history at Hacksaw Pass, including interpretive materials that tell the story of the Chief Woodenfrog family and other Ojibwe history. At the northernmost tip of Voyageurs National Park there is a jumble of rocky outcroppings both above and below the water’s surface. These nearly barren rock piles are home to hundreds of nesting double-crested cormorants, ring-billed gulls, and herring gulls. Please view all wildlife from a distance. Using binoculars, a spotting scope, or a telephoto camera lens will help you view animals “close up” without affecting their behavior or causing harm. From 1923 to 1938, Camp Marston in Brown’s Bay on the eastern end of Rainy Lake was a summer camp for civil engineering students from Iowa State University. The topography of Rainy Lake offered the technical challenges desired by the University to train its students, and the remoteness of the area offered few distractions. Students not only received an intense educational experience, but also made important contributions to the surveying and mapping of Rainy Lake. Though there are no services available at the site, the cabin known as Polaris where the camp professors stayed and the foundations and chimneys from other former structures are visible from the water. Anderson Bay exemplifies the outstanding scenery for which Voyageurs National Park was established. The exposed white granite cliffs of Anderson Bay rise abruptly 80 feet from the water and provide spectacular views of the bay and Rainy Lake. It is one of the most photographed areas of the park. There is a loop trail that takes park visitors atop the bluffs and access to the northern trailhead for the Cruiser Lake Trail system. Kettle Falls has been a portage area as long as people have used the boundary lakes for travel. The falls were well known to American Indians, early fur traders, explorers, gold miners, commercial fishermen, and loggers who had to portage around this transportation barrier when traveling between Namakan and Rainy lakes. 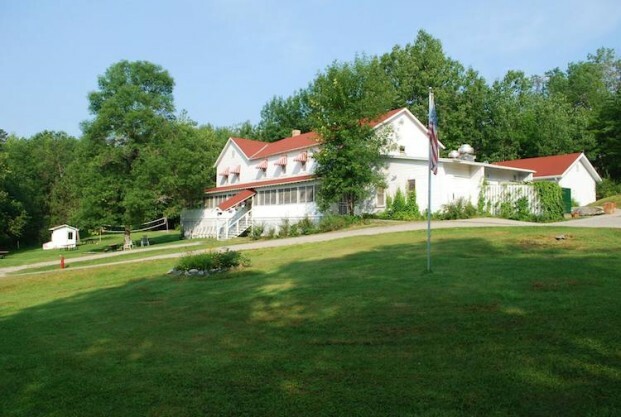 There have been accommodations at Kettle Falls since the late 1890s. A dam tender’s cabin was built in 1910, and the Kettle Falls Hotel, now on the National Register of Historic Places, was constructed at about the same time. In 1914, the Minnesota and Ontario Power Company completed construction of two dams at Kettle Falls and at Squirrel Falls in Canada. Today you can enjoy this historic area as part of a tour boat program, stay or dine at the historic hotel, view the Kettle Falls Dam, and look south into Canada from atop the dam lookout. Mechanized portage between Namakan and Rainy Lakes, for boats 21 feet or less, is available for a fee. The visitor center is housed in the historic Meadwood Lodge constructed by Ted Mead and two Finnish carpenters in about 1935. Off Highway 53, the Ash River Trail (County Road 129) is a scenic, paved, winding road that takes you to the visitor center entrance road 8 miles past the turnoff. Open seasonally, the Ash River Visitor Center is at the eastern end of Kabetogama Lake. Facilities at the visitor center include a park orientation film, camping orientation, exhibits, restrooms, a boat launch, a paddle only launch area, free parking, and picnic tables. Jefferson National Parks Association maintains a sales outlet with books, navigation maps, and other items. The Meadwood Lodge and sauna exhibit superior craftsmanship in log construction and are evocative of the rustic style vacation retreats of the 1930s. The Hoist Bay property was originally a railroad hoist camp for the Virginia & Rainy Lake Lumber Company. Piers of the former railroad trestle from the logging period are still visible. Ted and Fern Monson acquired the Hoist Bay property in 1938. The Monsons spent the first few years clearing remains of the lumber camp and building rental cabins for a resort that operated until 1973. This site represents a middle class becoming accustomed to the independence and adventure that the automobile offered. The lakes in the park became accessible by improved highways during the 1930s and many resorts were constructed during that period. Hoist Bay is in southwest Namakan Lake. This destination site includes historic buildings nestled among large scenic pine trees on a 400-acre island. The Virginia & Rainy Lake Lumber Company, headquartered on the island in the early 1900s, chose not to cut the giant red pines that still stand today. Ingvald Walter Stevens, a Norwegian who immigrated to America at the age of 19, purchased the island in 1932 after leaving the city due to poor health. By re-using buildings from the lumber company and adding some additional cabins, I.W. Stevens was able to operate a fishing resort on the island until 1959. Stevens was one of only a few people in the region who lived on islands year-round, facing the challenge of being self-sufficient during the winter months. He remained on the island until 1973 and died in 1989 at the age of 104. Sheer granite cliffs rise 125 feet above the surface of Sand Point Lake and reach one of the highest points within Voyageurs National Park. The bay and cliffs are accessible from Sand Point Lake on the far eastern edge of the park. This facility has information about the Minnesota DNR, St. Louis County boat ramps and docks, US Forest Service hiking trails, as well as Voyageurs National Park information, maps, and permits for overnight camping. The Crane Lake Ranger Station is open year round when there is a ranger on site. The Crane Lake Ranger Station is the only other Voyageurs National Park facility, besides the Rainy Lake Visitor Center, that is open in the winter months. The number at the ranger station is 218-993-2481. It is located 25 miles northeast of Orr, Minnesota, on the Crane Lake Road, County Road 24. Gull Island, near the center of Namakan Lake, is worth the trip just to view thousands of gulls that have established the island as their primary nesting site.In addition to the gulls, Great Blue Herons nest on Gull Island. Please enjoy this premiere habitat from a safe distance on the water with binoculars and camera during the nesting season. Gull Island is just outside the northern boundary of Voyageurs National Park, north of Namakan Lake’s Beaver Bay in Canada. Please follow Canadian Customs and Immigration laws when crossing the international border.